December is a busy month for publicity for Alnwick Markets - Small Business Saturday, as well as the Xmas Markets and Farmers Market. 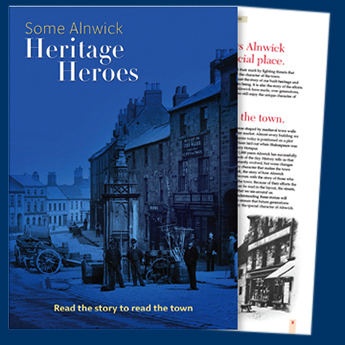 Just launched: a 40 page book about Alnwick’s civic heritage. 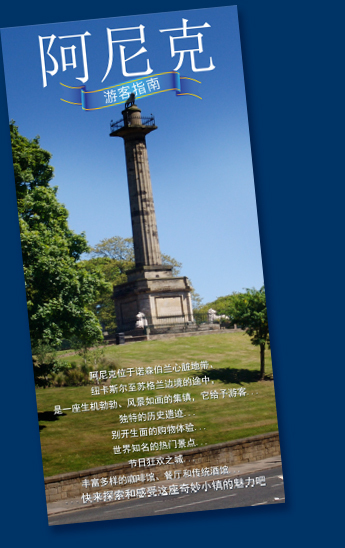 Alnwick has one of the highest proportions of listed buildings of any town in England (by size). Thanks to Azure for their help. Gallery Youth have helped create some of the most innovative annual reports in the third sector over the years. 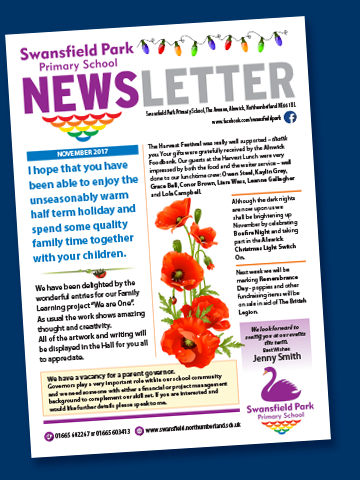 This one is a re-starter after the award of Lottery funding this year. 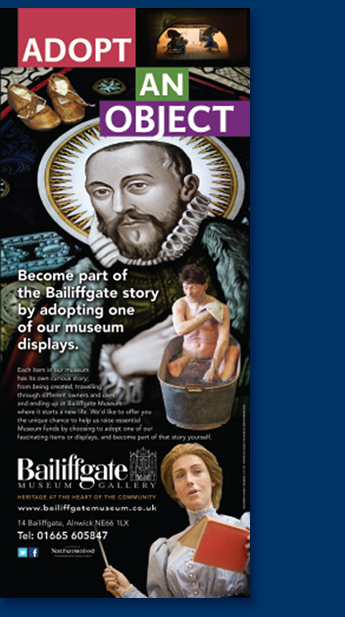 This shows the bannerstand created to support the leaflet and certificate rollout in a campaign to persuade individuals and firms to take a special interest in one of the objects in this successful local museum. Posters for the local Theatre Company's pantomime... I do the posters for several productions throughout the year.